New Integrated 25A Controller 48v Crank Drive Electric Bike Kit. 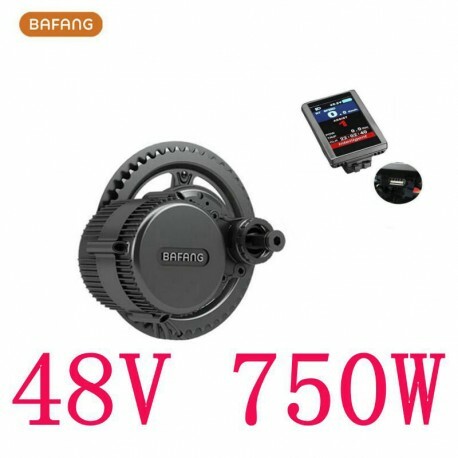 750 watt rated motor up to 1200 watts of peak power. Officially rated at 750 watts so it meets the legal requirements for an electric bike in all states. By far the most power to the rear wheel of any legal kit. Full throttle at PAS zero! The kit comes with a default top speed of 20 MPH to make it legal in every state, however this is easily adjusted to about 32 MPH in the display settings. If you want to go faster, you can take it a step further and trick the controller into thinking you have a smaller wheel diameter, which will allow you to go closer to 50MPH, but the speedometer will be reading inaccurately. 20MPH is plenty fast, but to each their own! Be aware that if you adjust the controller away from the 20MPH limit, this technically makes the bike an "off road" bike. The Mid Drive Kit is by far the best E-Bike Kit available, as this kit allows for use of your existing gears, no matter if you have a derailleur, an internally geared hub, or even a CVT hub. This not only allows for quick acceleration combined with a high top speed, but allows for steep hill climbing ability and the most efficient use of the battery, so you get extended range. When using this kit with the downtube mounted battery, the added mass has a low center of gravity and is centrally located between the wheels of the bike, which optimizes handling and ease of use. Comes with everything you need to convert your bike to a legal powerful electric bicycle that you can ride anywhere a bike is allowed to ride, excluding the battery, which we also have available. See our other auctions, if you buy the kit and the battery together you save a big. This kit comes with the motor cut off brake levers, they are just not pictured. 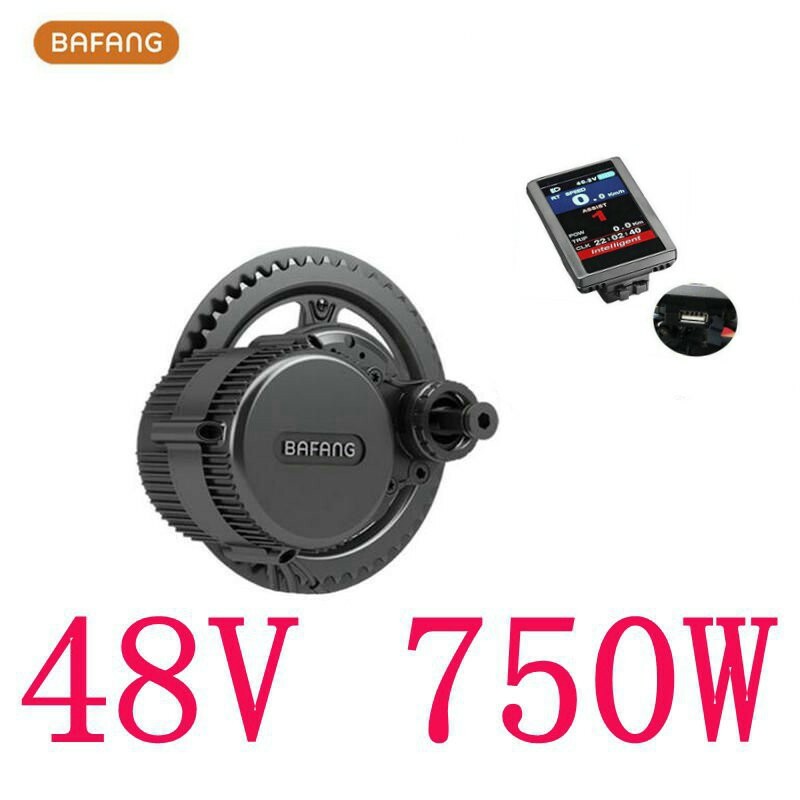 With an integrated speed sensor, this mid-drive motor, which is compatible with a 68-73mm bottom bracket, has a rated power of 750W, a reduction ratio of 1: 21.9 and a maximum torque of 160 N.m, will provide the rider with great explosive force when starting the system. 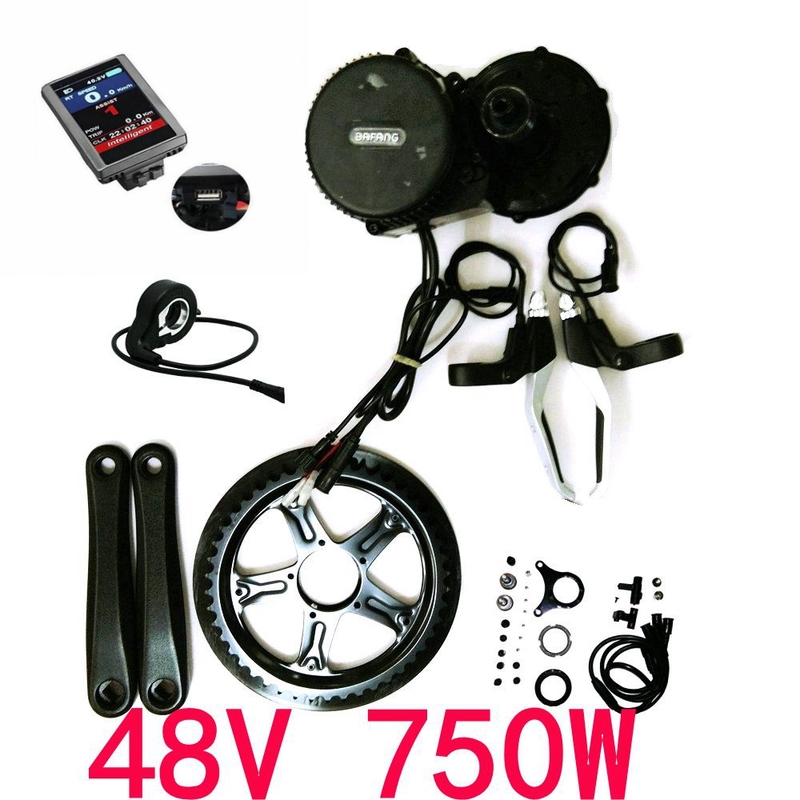 Highly strong and efficient, this motor greatly enhances riding joy and is suitable for mountain bikes and sand bikes which are the favorites of riders who love challenges as well as transport bikes. This motor is black.